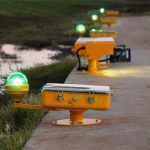 Avlite’s helipad lighting system ensures superior lighting and control for day and night operations. 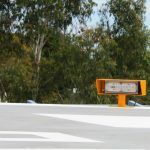 The East Midlands Police Force Air Support Unit required a radio-controlled helipad lighting system suitable for both day and night operations to enhance operational effectiveness and importantly, to increase flight safety. 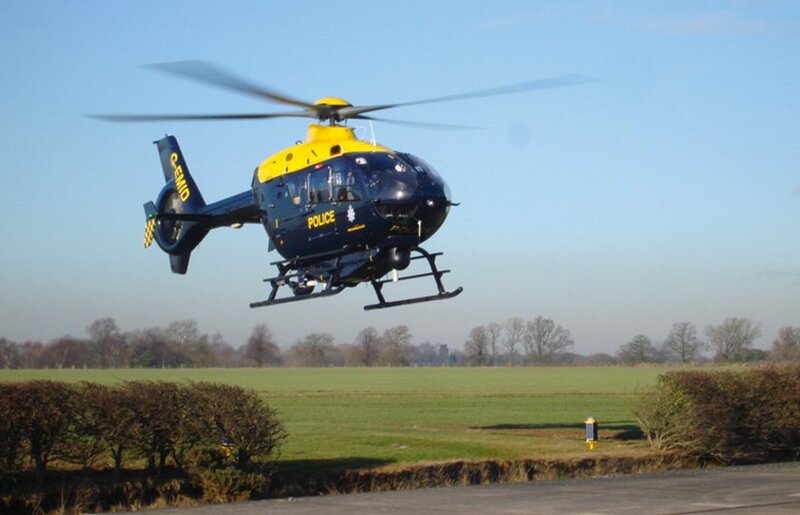 the best possible aerial support to its Police colleagues and other Partner Agencies within the three counties and beyond. 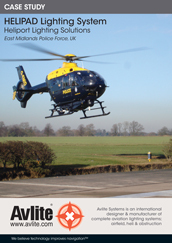 Being the first police operation in the UK to use in- flight NVG technology under CAA and international aviation rules and regulations, the East Midlands Air Support Unit operates with a full crew using Night Vision Goggles enabling the pilot and the observers to see clearly in the dark.The installation of a helipad lighting system at the Unit’s base was the logical next step in their proactive approach to embrace new technologies to increase the operational safety and effectiveness of the Unit’s helicopter crews. 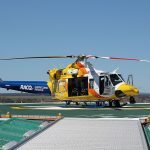 NVG configurations that clearly identified the helipad on approach or from above during hovering or in low visibility weather. 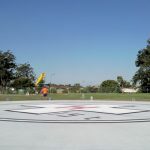 Avlite’s AV425-RF radio controlled solar LED helipad lighting system with optional NVG mode, fulfilled their requirement. 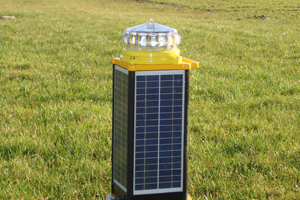 The AV-425-RF system can be controlled from the ground, air traf c control tower, or aircraft cockpit, through the use of the handheld controller via the AvMeshTM network allowing all lights to transmit and receive commands regardless of a single point of failure, increasing the system’s reliability and providing fail-safe, self realising encrypted wireless communications.